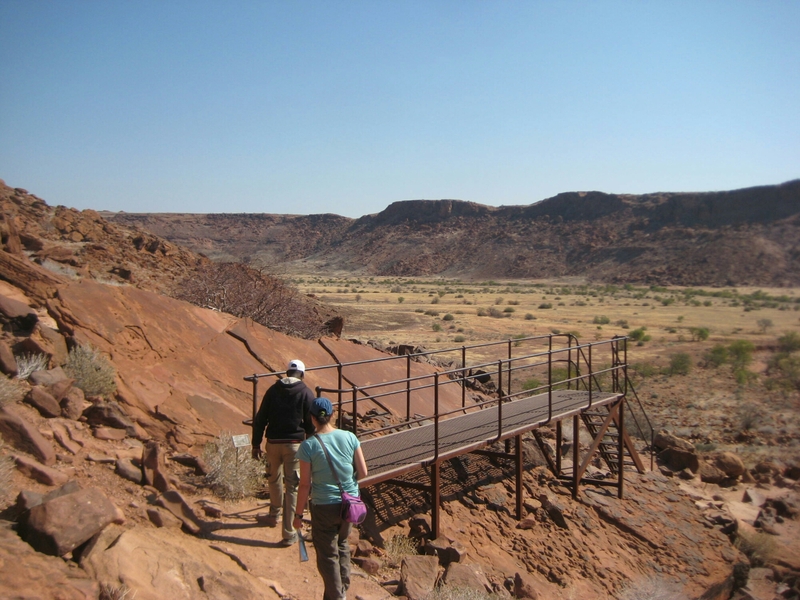 Two big way-points on self-drive safari itinerary through Namibia were Etosha National Park and the town of Swakopmund. We needed something to break up this long drive, and we realized that there was a UNESCO World Heritage site along the way we decided to make that our stop! 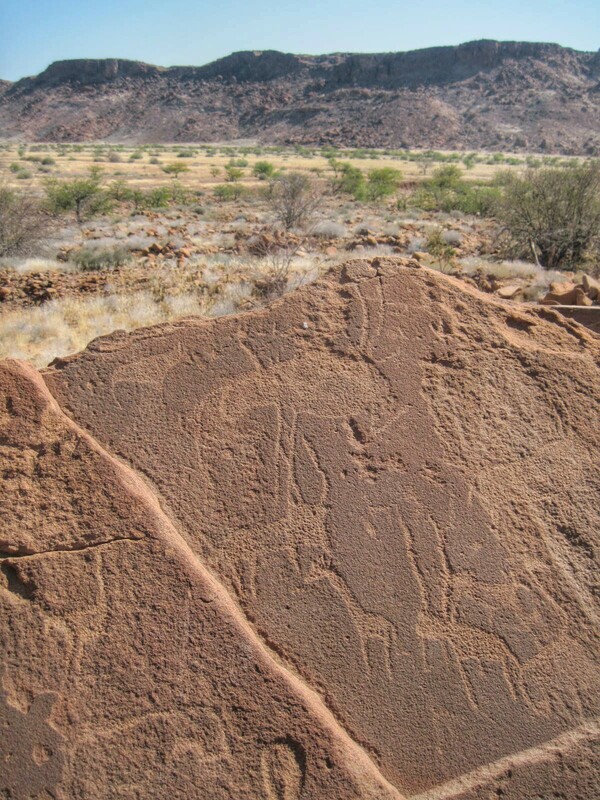 The site of Twyfelfontein (//Uis-//Ais in the native language) contains rock engravings from the San people (a.k.a Bushmen) dated from 2000 to over 6000 years old. 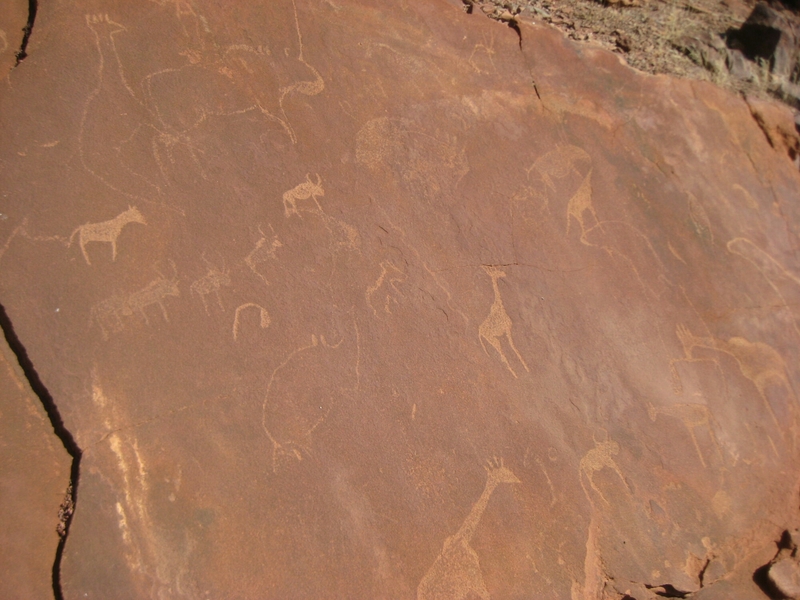 Most of the engravings are of the different animals of the region – giraffes, rhinoceros, antelope, lion, etc. 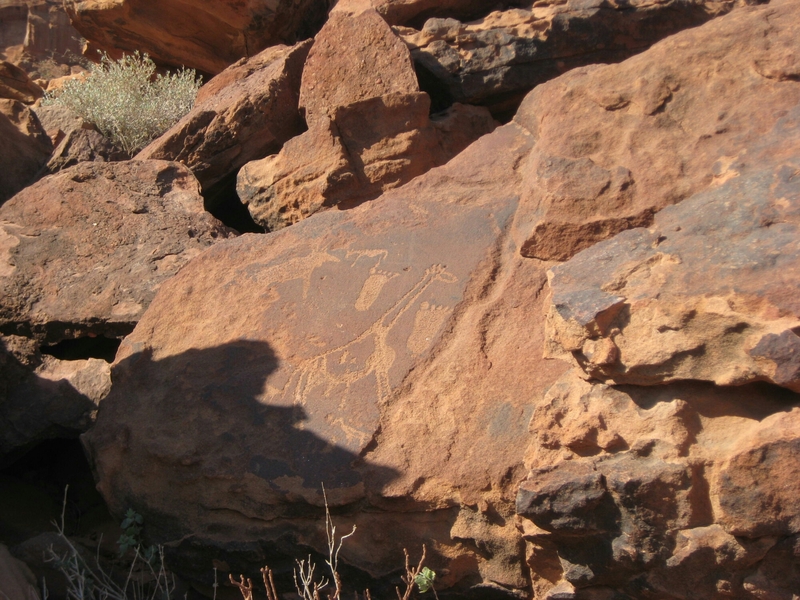 The San shaman would enter a trance state and carve these images into the rock. 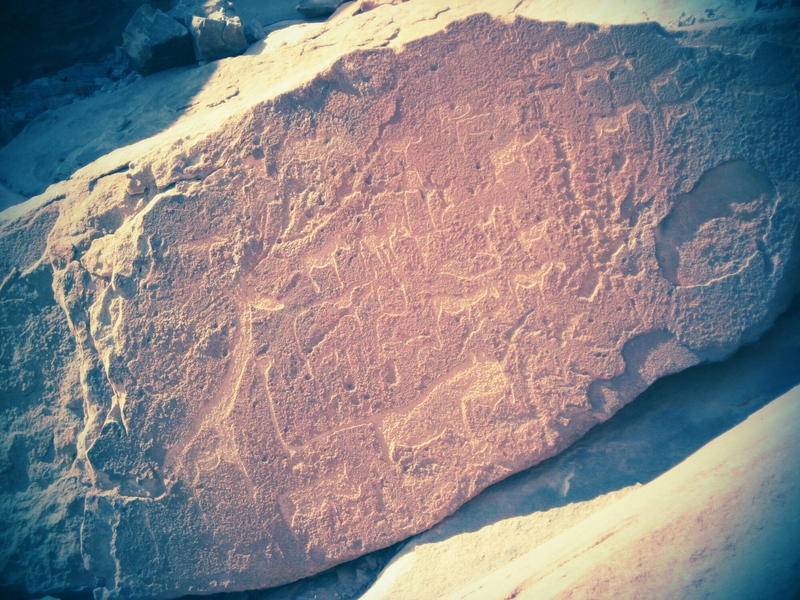 One interesting aspect of visiting the site is that you are required to go through the engravings while accompanied by a guide. We did enjoy learning more about the engravings from our guide, although it went against our normal do-it-yourself spirit. One of the most memorable moments of interaction was when he taught us how to count from 1 to 5 in Damara (which contains 4 different click sounds).